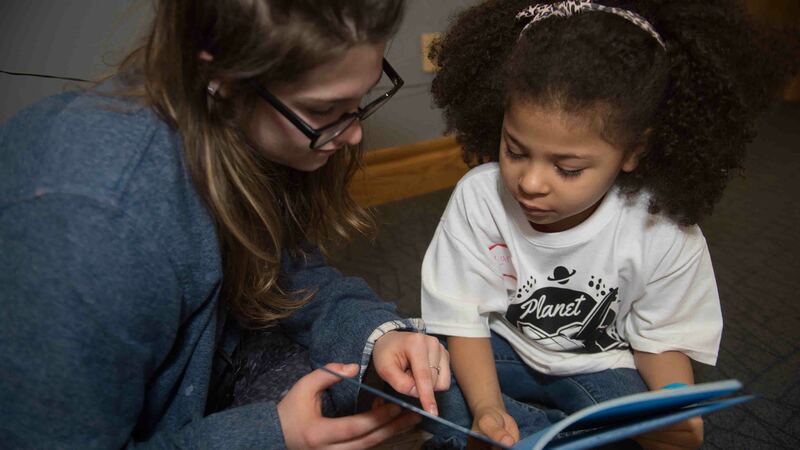 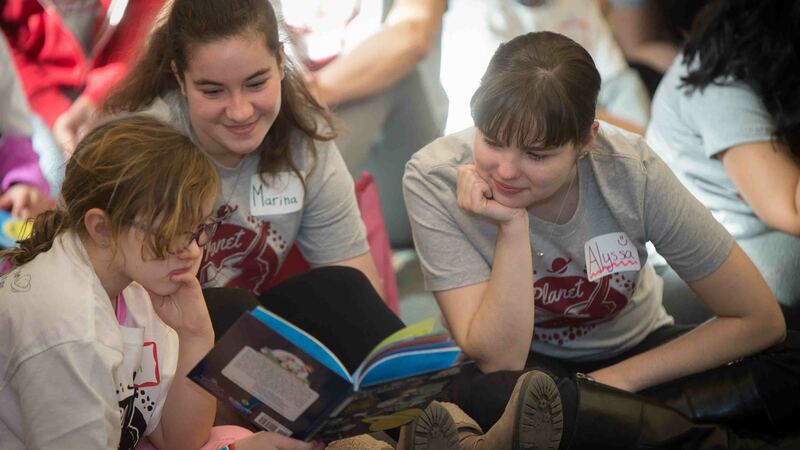 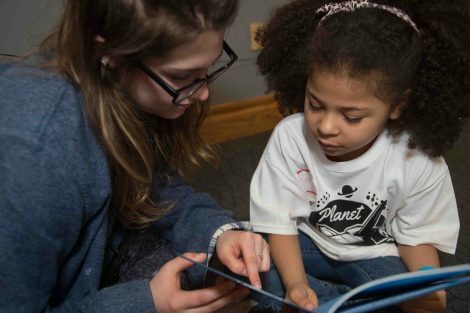 Painting planets, mixing universes, and lighting stars … students found fun ways to launch toward a life of reading during this year’s space-themed Literacy Day: Planet Literacy. 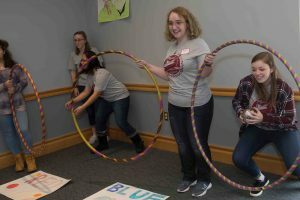 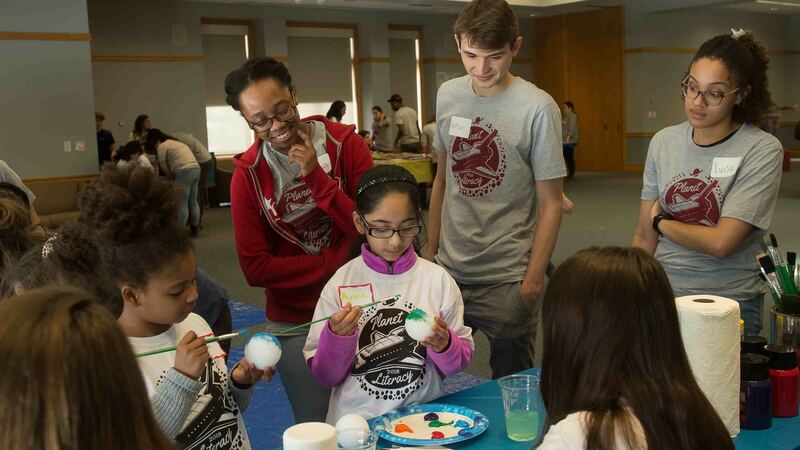 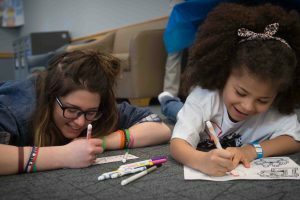 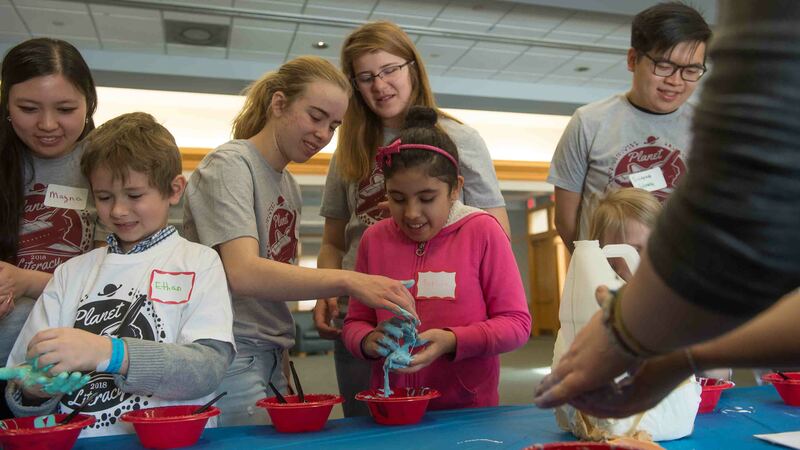 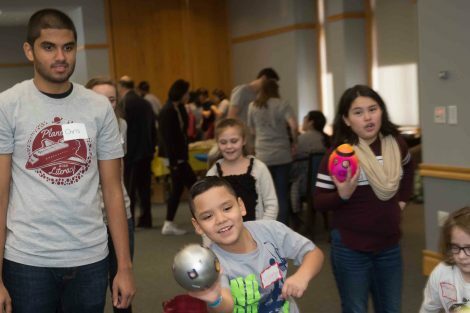 Local “astronauts” from Cheston and Paxinosa elementary schools and Easton Area Community Center spent the day at the College reading, watching performances, and making art. 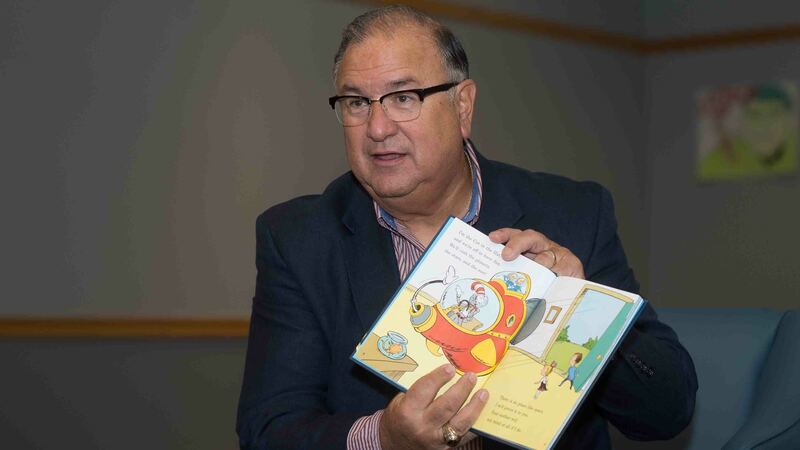 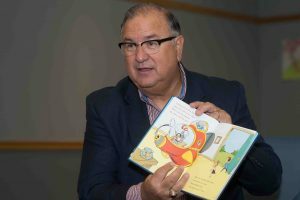 The day started off with Easton Mayor Salvatore Panto Jr. reading a Dr. Seuss-style book titled There’s No Place Like Space. 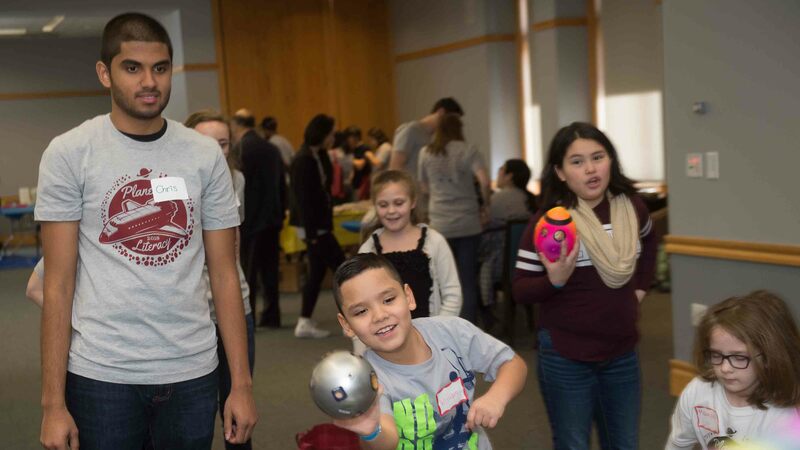 From there students went to various tables to pick out books, cut out stars, mix galaxies of milk and dish soap, turn foam balls into painted planets, make glittery galaxy slime, and shoot planetary objects through hoops. 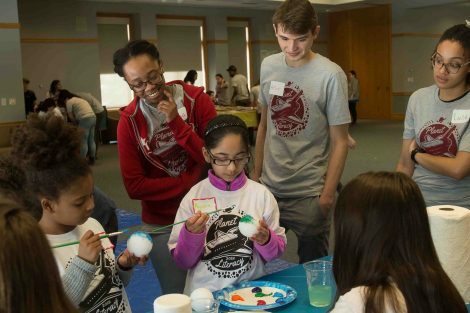 The day was organized by Team America, part of the MOSAIC program from the Landis Community Outreach Center. 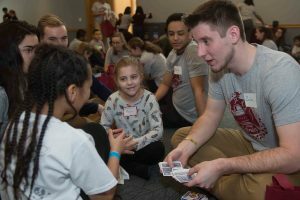 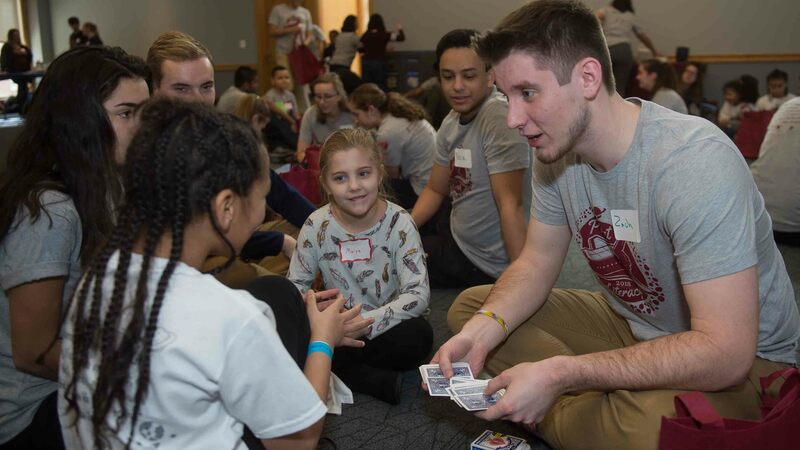 Coordinated by student leaders and supported by community partners, MOSAIC teams allow College volunteers to develop lasting relationships with members of the Easton community. 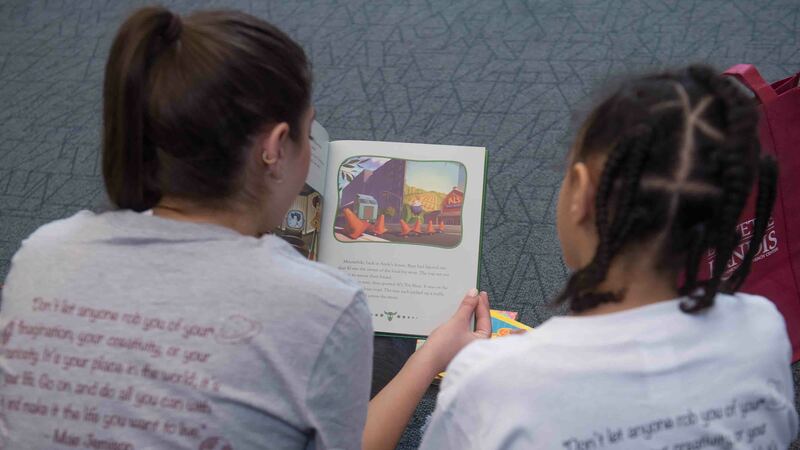 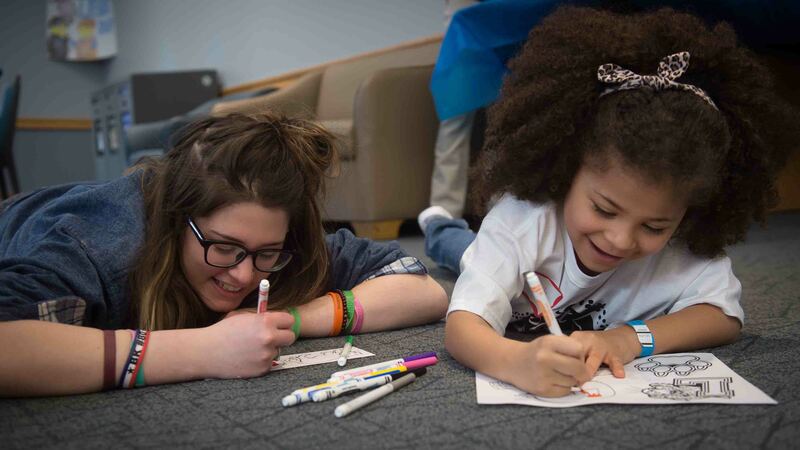 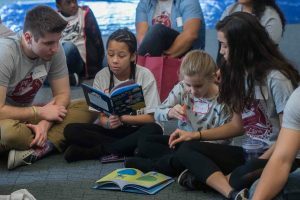 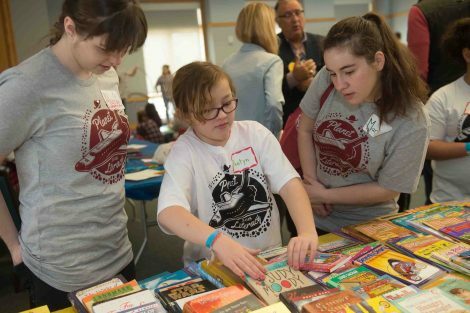 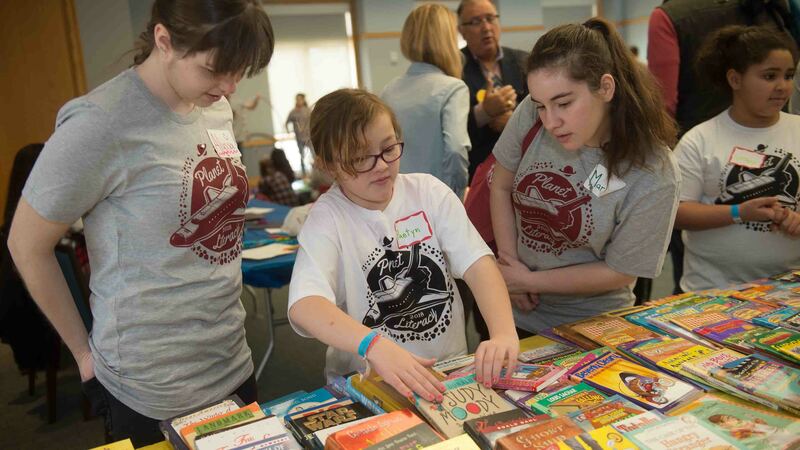 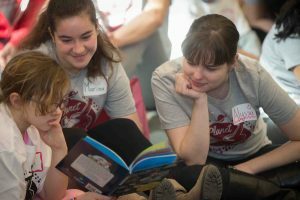 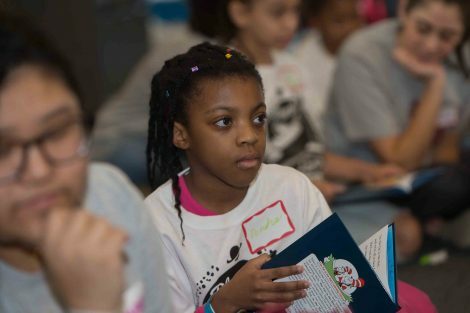 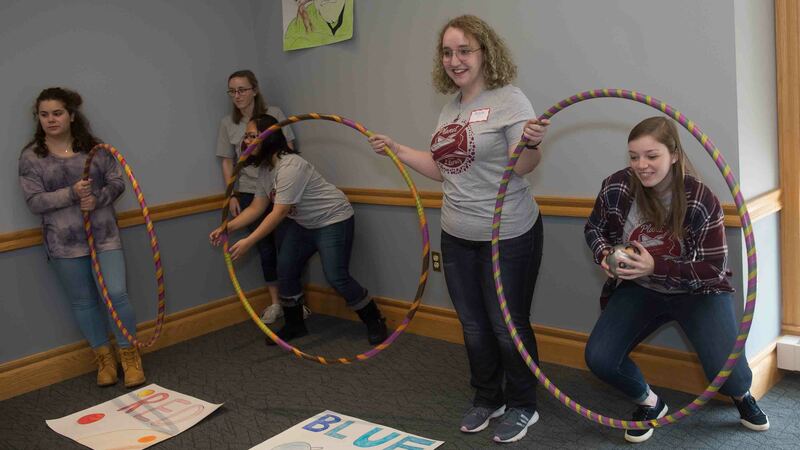 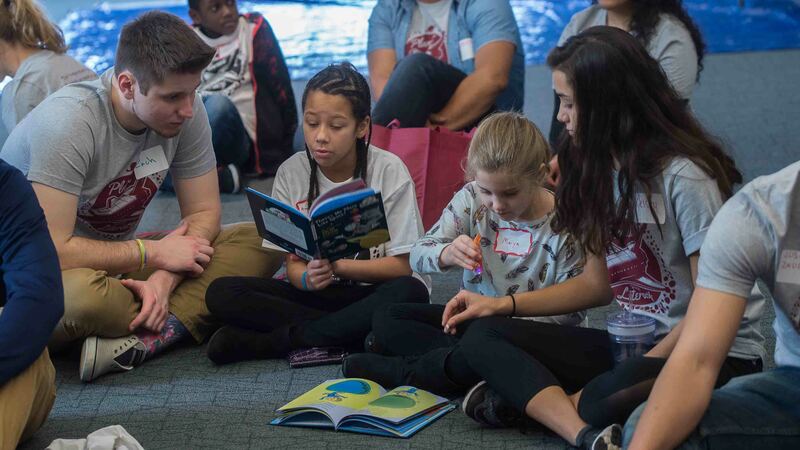 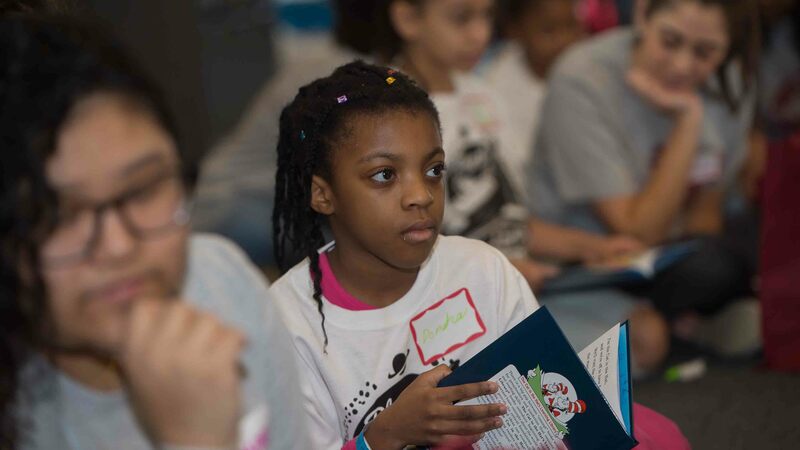 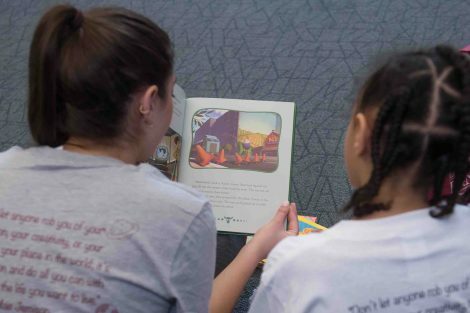 Led by Paige Fenn ’19, Team America focuses in part on the federally funded America Reads program that allows federal work-study students to partner with Easton children on topics relating to literacy. 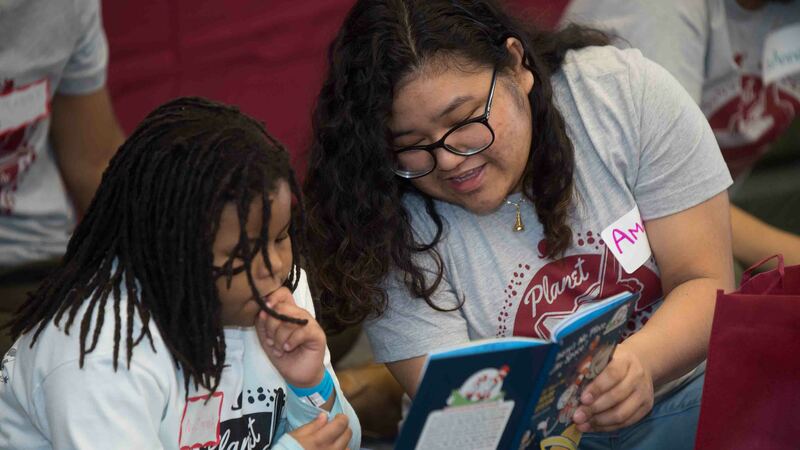 America Reads employs approximately 65 tutors and encompasses seven programs at six sites throughout the community. 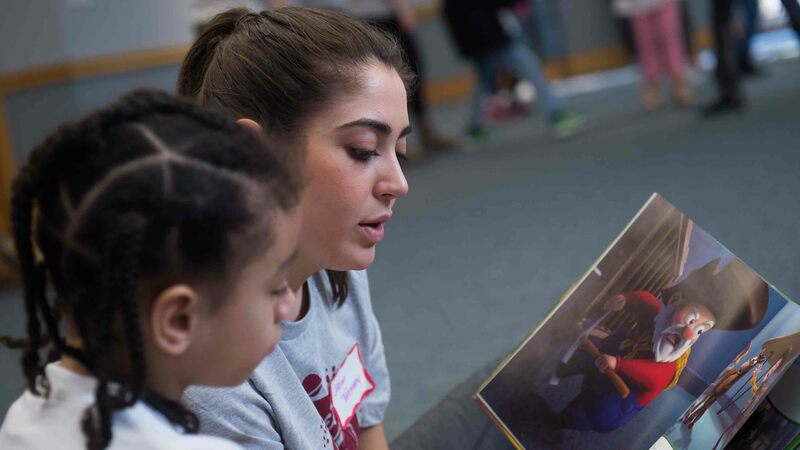 Programs are coordinated by student leaders and are overseen by America Reads coordinator Christine Cohen. 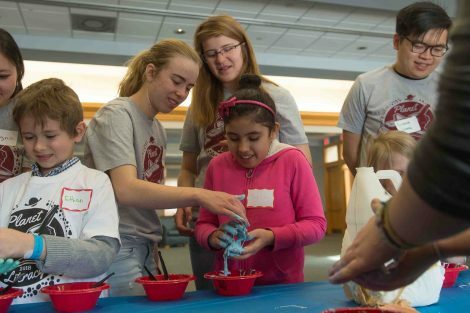 Unlike typical on-site visits, the College got to host the interplanetary guests. 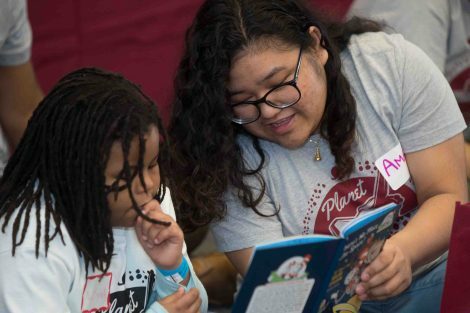 While bad weather kept numbers down, smiles were up because each reader had two college students’ full attention. 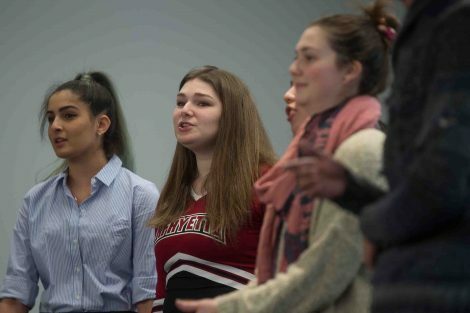 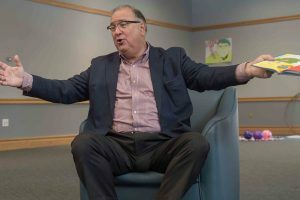 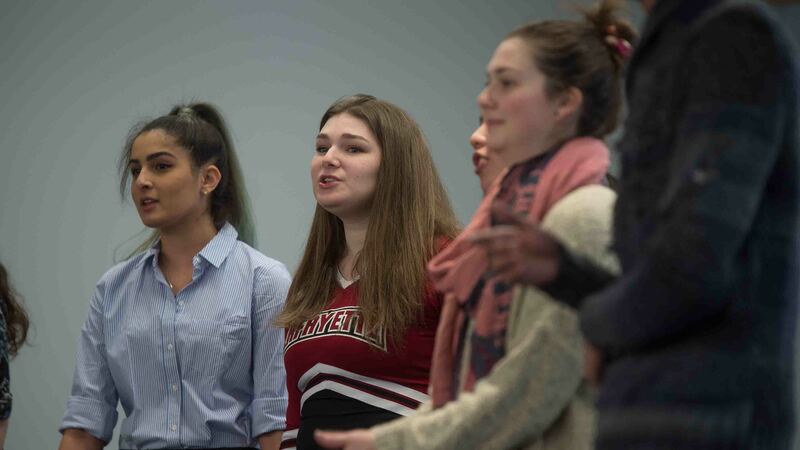 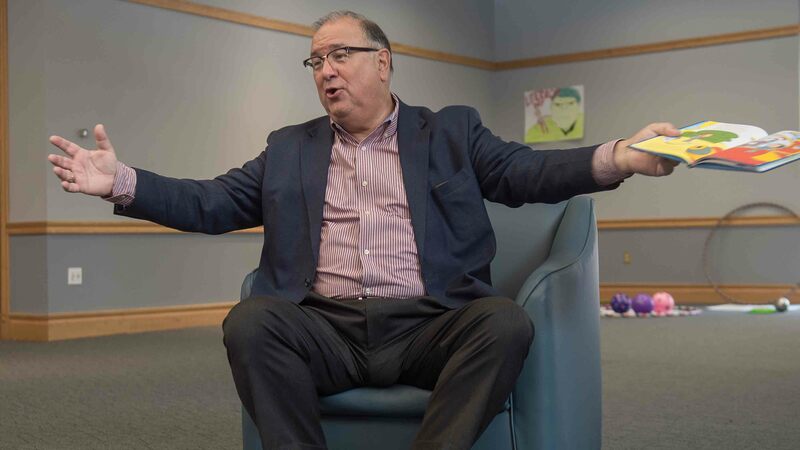 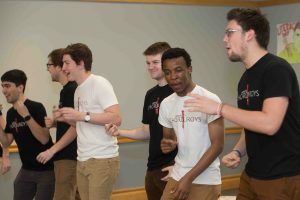 Add to this big brown-bag lunches and performances by a cappella groups the Corduroys and the Markeys—the day was a real rocket booster of success. 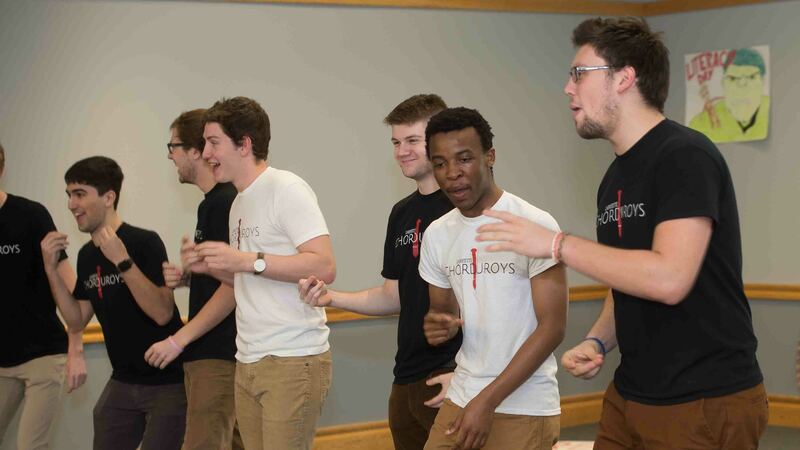 We'd lover to meet you. 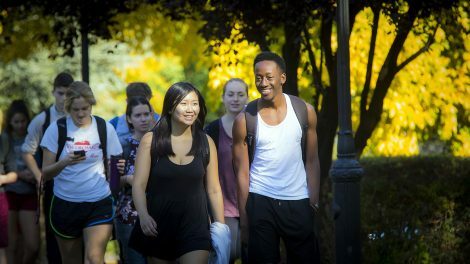 We invite you to explore Lafayette via a campus tour, a group information session, a Leopard for a Day visit, or an open house. 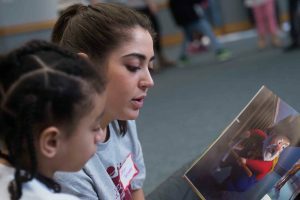 Be a member of our family for a day, learn if our community fits what you are looking for.